Buy a poster of Susan Mayer and Mike Delfino House Floor Plan! 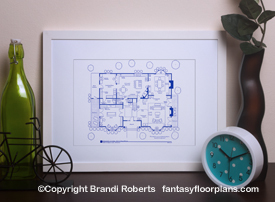 This is my fictional first story house floorplan for Susan and Mike Delfino's Desperate Housewives house. 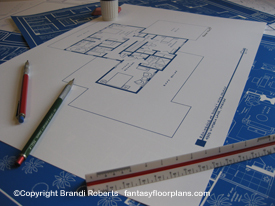 My floorplan reflects the remodeled kitchen completed right before Susan and Mike leased the house to Beth and Paul Young. This floor features an open dining, living and kitchen area along with the semi-hidden laundry area. There's also a large den which doubles as Susan's studio area. Beyond the den is an area for dining or playing cards with the other desperate wives. Accessed by French doors is Julie's bedroom. She's away at school but her room remains intact. Her room contains access to the backyard and an en-suite bath shared by the hall corridor. 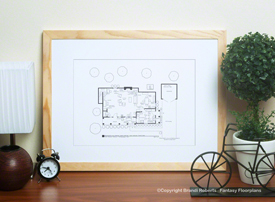 Susan has an eclectic style that matches her artistic talents. Outside you'll find stone accent walls that give the front of the house a lot of character. You can find my fictional house floor plan for Susan and Mike Delfino's second floor here. 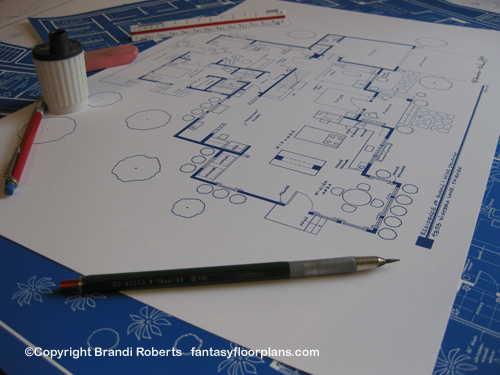 If you're interested in the other desperate housevives, I have also created floor plans for Bree, Gaby and Lynette.